The owl is often associated with Athena or Minerva in ancient Greek and Roman mythology. Here the owl is used as an emblem of Athena adapted from an ancient Greek coin. 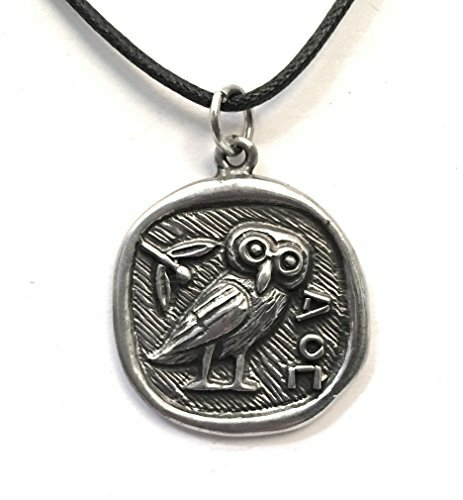 Athena's Owl pendant comes on a 33 in L black cord. Made from pewter over metal. It would make a lovely addition to a bead necklace as the focal point at the bottom. If you have any questions about this product by Nirvana, contact us by completing and submitting the form below. If you are looking for a specif part number, please include it with your message.